In addition to being regulated by the Fair Debt Collection Practices Act (FDCPA), West Virginia collection agencies are also regulated by West Virginia debt collection laws. Discover: West Virginia collection requirements, bad check laws (NSF), statutes of limitations for both debts and judgments, garnishments plus West Virginia collection agency license and bonding information. Amount due, service charge up to $10. If check is under $500.00 = misdemeanor. Over $500.00 = felony. See West VA code 38-5A-3-Employees withhold 20% of disposable income or 30x the minimum hourly rate, whichever is less. Other exemptions apply. License: Yes – Franchise Reg. Cert. Exemption for out-of-state collectors: Contact state authorities. Some out-of-state agencies may be exempt if they are only collecting for out-of-state clients. The state of West Virginia has opted out of federal bankruptcy exemptions – West Virginia Code § 38-10-4. Wages: West Virginia Code §§ 38-5A-3 and -9, 38-5B-12. Homestead: West Virginia Constitution article 6, § 48; West Virginia Code §§ 38-9-1 through -6 and 38·10·4. Tangible personal property: West Virginia Code §§ 38-8-1, -3, -10, -IS, and 38-10-4. 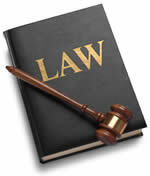 Benefits, retirement plans, insurance, judgments, and other intangibles: West Virginia Code §§ 38-8-1 and 38-10-4. Your debt may have expired under West Virginia’s Statutes of Limitations, and may be considered uncollectible. Read the summary below to see the length of time certain types of debt can continue to be collected under the West Virginia Debt Statutes of Limitations, don’t let a collector threaten to take you to court over an expired debt. Wage garnishment doesn’t mean a debt collector or creditor is entitled to take all your money. Under West Virginia’s Wage Garnishment Laws, there are limits and protections on just how much can be taken from your paycheck. Read the summary below to learn your garnishment rights under West Virginia law. On a judgment of money, there may be issued an execution known as a writ of fieri facias. W. Virginia. Code 3845. To ascertain the Statutee on which a writ of fieri facias issued by any court of record, or an execution issued by a justice of the peace [magistrate], is a lien, the clerk of court from which the execution issued, or, if it was issued by a justice of the peace [magistrate], the clerk of the circuit court of the county in which such justice [magistrate] resides, shall issue a summons against any debtor or bailee of the execution debtor, requiring such debtor or bailee to appear before a commissioner in chancery of the county where such debtor or bailee resides, such commissioner and his county to be named in the summons, such appearance to be made at a time and place to be designated therein, to answer upon oath such questions as shall be propounded at such time and place by counsel for the execution creditor, or by the commissioner. W. Virginia. Code _ 3851. Upon a suggestion by the judgment creditor that a person is indebted or liable to the judgment debtor or has in the person’s possession or control personal property belonging to the judgment debtor, which debt or liability could be enforced, when due, or which property could be recovered, when it became returnable, by the judgment debtor in a court of law, and which debt or liability or property is subject to the judgment creditor’s writ of fieri facias, a summons against such person may be issued out of the office of the clerk of the circuit court of the county in which such person so indebted or liable, or so having such personal property, resides upon an attested copy of such writ of fieri facias being filed with the clerk to be preserved in the clerk’s office, requiring such person to answer the suggestion in writing under oath. The return day of the summons shall be the next term of the court. The suggestion by the judgment creditor provided for herein shall include, to the extent possible, the present address and social security number of the judgment debtor, which information shall be made available to the person suggested for purposes of identifying the judgment debtor and facilitating a proper answer to the suggestion. W. Virginia. Code _ 38510. If it appears from the answer of the person suggested that, at the time the writ of fieri facias was delivered to the officer to be executed, or thereafter, and before the time of the service of the summons, or the return day of the writ of fieri facias, whichever comes first, the person was indebted or liable to the judgment debtor, or had in the person’s possession or under the person’s control any personal property belonging to the judgment debtor, and that the person had not, before notice of the delivery of the writ of fieri facias to the officer, paid the money or delivered the property to the judgment debtor, or upon the judgment debtor’s order, and that the debt or liability to pay the money or deliver the property was not evidenced by a negotiable instrument, the court may order the person to pay the amount so due from the person and to deliver the property, or any part of the money or property, to such person as the court may designate as receiver. W. Virginia. Code _ 38515. Interest Rate at which Judgments Accrue Every judgment or decree for the payment of money entered by any court of this Statutee shall bear interest from the date thereof, whether it be so Statuteed in the judgment or decree or not at the rate of ten dollars upon one hundred dollars per annum. If a judgment or decree, or any part thereof, is for special damages (lost wages and income, medical expenses, damages to tangible property, and similar out-of-pocket expenditures, as determined by the court) or for liquidated damages, the amount of such special or liquidated damages shall bear interest from the date the right to bring the same shall have accrued. W. Virginia. Under West Virginia State and Federal Call Recording Laws, you could record the actual phone conversation with a debt collector in your efforts to stop debt collectors from calling! West Virginia is a one party consent state, meaning only the permission of one person on the call is necessary to record. YOU ALONE can be considered the one party to give consent, thus you do not need a debt collectors permission to record the phone conversation in the state of West Virginia. Research and find additional information about Federal Call Recording Laws and learn what call recording procedures are legal in other states. Knowing and abiding to the proper West Virginia debt collection laws is important for both creditors and collection agencies alike. There are debtor’s rights attorneys who are just waiting for creditors or collection agencies to slip up. If you mistakenly violate the West Virginia debt collection laws, you could create a liability for your business and even open yourself up to a expensive lawsuit. Please note: West Virginia debt collection laws can change over time, and you need to consult with an attorney before you use this information.